These seeds will turn into fresh herbs from the garden. Have you ordered seeds for this year’s garden? 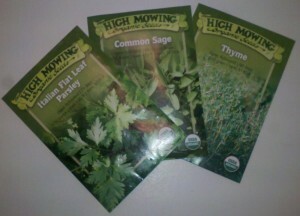 I recently placed an order with High Mowing Organic Seeds in anticipation of starting seeds indoors soon. If things go well, I will be enjoying back yard chickens roasted with fresh herbs from the garden. Have you ever heard that some things are best learned by doing or that experience is the best teacher? To make the most of that experience, it is helpful to take some time for reflection. I wanted to take time out from planning this year’s garden to review some things I learned last year. Alpacas produce great wool and garden amendments. If you are like me you have been told plenty of stories about successful gardeners adding horse manure to their gardens. 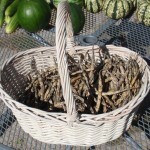 Or perhaps you have heard that rabbit manure can be applied directly to a garden without worry. It all sounds good, but have you ever picked up a load of horse manure yourself? Thoughts of finding a horse farm, then loading up a pile, bringing it home, and then unloading it seemed a little overwhelming. I never quite took the first step to collect what I knew to be a valuable garden amendment. Then a source of alpaca manure appeared in an unexpected place. A local alpaca owner was offering bags of alpaca manure free for the taking on freecycle. This was a great opportunity, the black gold was prepackaged and ready to go. No shoveling needed. Just take it home and dump the bag on the compost pile. Of course alpacas are not horses. Would the alpaca manure produce the kind of results that horse manure is famous for? In my experience, yes. 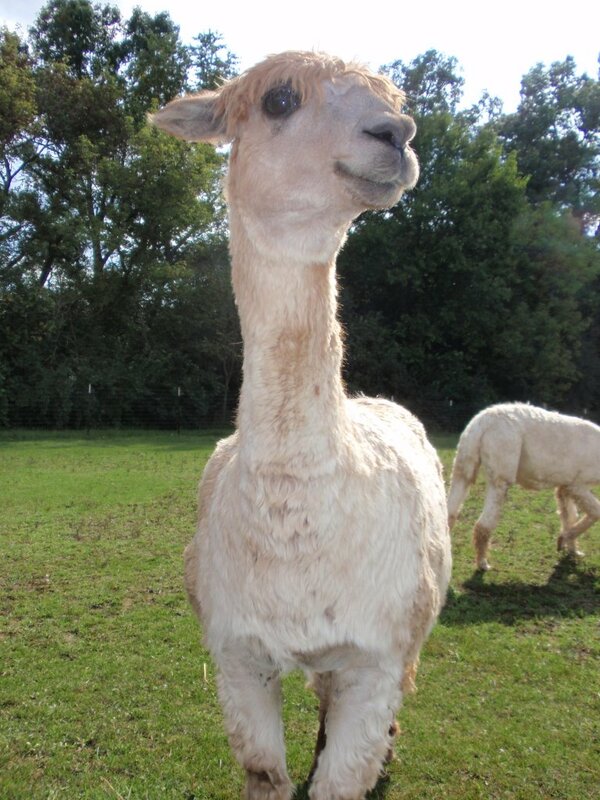 Alpaca manure is a great source of soil fertility. In fact, I had my best year ever growing bell peppers. A bountiful crop of bell peppers can cause the branches of the plant to break under the weight. I never had this problem in years prior to using alpaca manure for fertilizer. Last year, I learned the hard way that sometimes bell peppers need extra support. The sweet chocolate plants in particular would have benefited from staking up. Who knew? I mean this voracious caterpillar is called a “tomato” horn worm after all. Apparently, the researchers knew. As for me, I learned the hard way, after a horn worm defoliated one of my container bell peppers, that tomato horn worms will eat other plants in the night shade family as well as tomato plants. 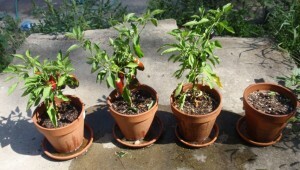 Bell peppers in containers. A horn worm devoured the one on the right. Last year, I built my tomato trellis using half inch electrical conduit and nylon trellis netting as described in the square foot gardening book. Unfortunately, the trellis failed about midway through the season under the strain of three healthy Crnkovic tomato plants and one gold rush currant tomato plant. I will need to build a stronger trellis next year to avoid the disappointment of seeing healthy vines fallen on the ground. These painted pony beans were grown in two square feet. 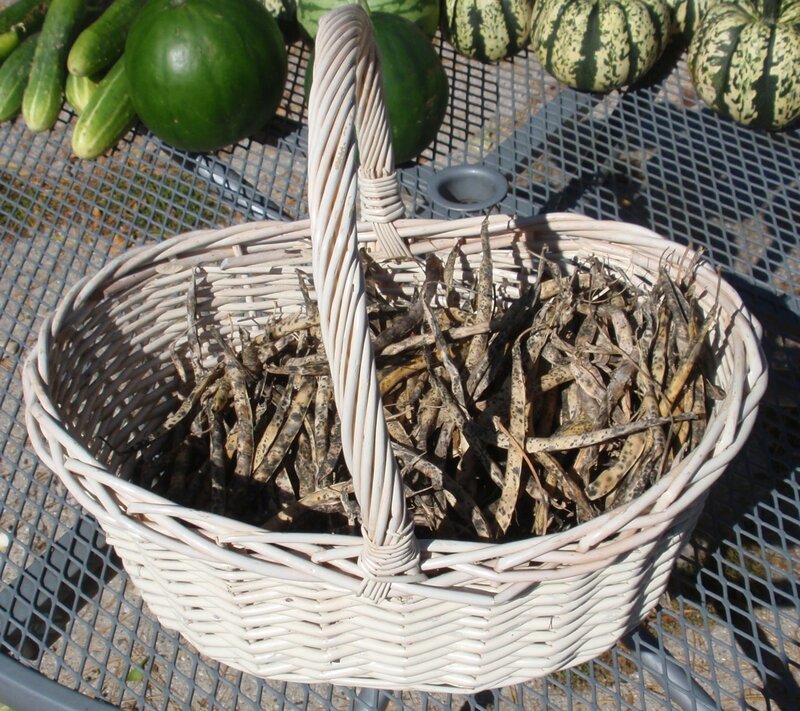 I was able to grow 3/4 pound of dry beans in two square feet. With this harvest I was able to make one pot of soup. I plan to use this yield information going forward as a guideline for growing more beans. This year I hope to produce over a pound of dry beans by dedicating three square feet of my square foot garden to bush beans. My number one lesson learned gardening in 2011 is, go out and get some ruminant manure to add to your garden. The results will be worth the effort. If you keep your eye out, you might just find a source of manure in an unexpected place. I also learned several things about growing bell peppers, tomatoes and bush beans by actually growing them that I wouldn’t have learned just by reading about it. All posts in the gardening category. How many beans per square foot. Painted pony bean soup recipe. Why mulch between garden beds?